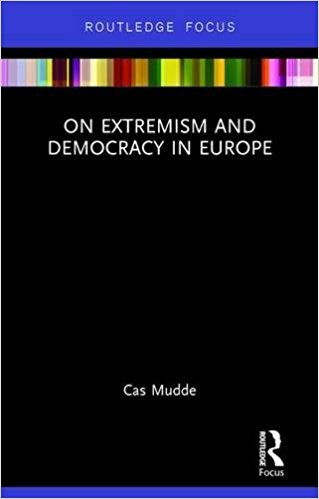 In On Extremism and Democracy in Europe, Cas Mudde presents a number of essays reflecting on the far right, populism, Euroscepticism and the state of liberal democracy today. Challenging prevailing fears, particularly those promoted in the mainstream media, this book offers a reliable and approachable analysis of contemporary European politics that will be of use to those trying to understand recent events, writes Marta López Solé. On Extremism and Democracy in Europe. Cas Mudde. Routledge. 2016. 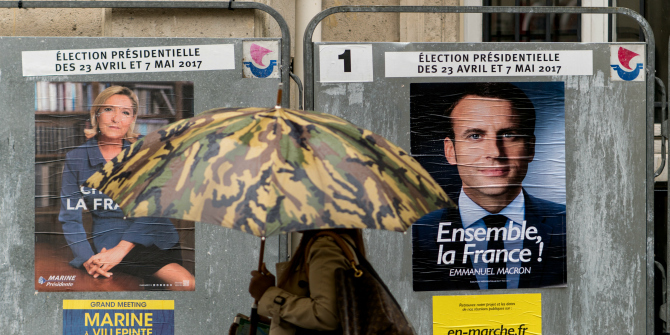 Following the French Presidential election results on 7 May 2017, we have seen how most of the media celebrated Emmanuel Macron’s victory as the triumph of liberal democratic values and Europeanism over far-right populism. However, On Extremism and Democracy in Europe will open readers to a more balanced view of this optimism through the thoughts of political scientist Cas Mudde. In the book, Mudde reflects on the key topics of his academic work – the far right, populism, European politics and liberal democracy – by bringing together his articles published by different newspapers since 2010. Mudde discusses and argues against the current perspective of most of the media, which is that far-right populism is undermining the democratic state in Europe. Mudde’s analysis compares parties, their current policies, political discourse, the different electoral results of recent years in Europe and the wider history of liberal democracy. In order to explore his main political concern – ‘how can a liberal democracy defend itself against political challenge(r)s without undermining its own core values?’ – the author divides the book’s chapters into four main themes that often entangle and overlap: the far right, populism, euroscepticism and liberal democracy. On the far right in Europe, Mudde analyses the fear expressed by the media regarding a ‘new’ increase in far-right parties and political radicalisation. This analysis consists of outlining the principal characteristics of far-right parties in Europe; classical theories that may explain this increasing support; the 2014 European Parliament elections; and the most important European far-right representatives. By providing accurate data and statistics, the author disarticulates most of the mainstream ideas being spread throughout political discourse and the mass media. One of the most important concepts that I would like to underline is Mudde’s distinction between a far-right ‘manifesto’, ‘far right ideology’, ‘far right policies’ and ‘far right political speech’. In other words, a far-right party may not necessarily implement far-right policies, but mainstream parties, who are seen as moderate in ideology, can apply them more easily instead. It is these policies that are the real threat to the quality and values of our democracies. This is vital in the current political situation as we see important mainstream parties, who are backed by the institutional system and public opinion, undermining democratic rights and freedoms by alleging to be the lesser evil and the only alternative against far-right parties. The second part of the book focuses on populism. Most political analysts tend to agree about the rise of populism in Europe, and it has become a commonly used word in political discussions. The term has been utilised by mainstream parties and politicians to criticise their political rivals, with the negative connotation of being seen as a threat to democracy. However, Mudde gives a different vision. First, he provides a clear definition of populism: ‘a host ideology which divides society in two moral opposite groups: the people (the pure) and the corrupt’. By using this rhetoric, populist ideology mobilises the population on the issues that people care about that have been depoliticised by the elites. While mainstream and governing parties often use populist rhetoric to capture votes, they rarely follow through on their promises. This creates a gap between spoken and enforced policies, which results in disaffection on the part of the electorate. Right populism results in nationalism and left populism in socialism, both positions being illiberal democrats. Each challenges current mainstream politics and brings back into the political debate issues that have been avoided or forgotten by political leaders. To this point, Mudde provides a more positive vision of populism, since democratic debates become healthier with political challenges to the status quo (i.e. reformists and minorities). According to him, the greatest threat to our democracies is the big and governing parties with their populist rhetoric that doesn’t correlate to their politics, thereby discrediting them in the eyes of voters. However, Mudde appears less optimistic about the current political situation of the European Union. He argues that the lack of social consensus between the member states of the EU would have established Euroscepticism in mainstream parties. The European integration project, which has been carried out by the elites with the ‘permission’ of the people without their direct involvement, would have also spread Euroscepticism among the electorate. Nevertheless, the European Parliament elections of 2014 did not show a victory for Euroscepticism according to the data recorded, but rather the defeat of the big parties who have lost support, resulting in the rise of medium-size parties. While discussing liberal democracy, Mudde analyses growing intolerance among Europeans, and how responses to terror attacks are affecting minorities. The increased islamophobia in even the most tolerant European countries is a fact, and one that is often linked to the failure of multiculturalism. However, Mudde tries to abolish this misconception: any failure does not come from within communities that have not integrated, but from the host countries that have failed in their integration policies. This, together with the ban on extremist speech (even though seemingly contradictory), has put in danger both minorities and democratic values. By allowing extremist speech, democratic forces would have been forced to justify their integration policies and to fight against prejudice. Furthermore, it would have enabled greater dialogue, leading to a better understanding of minorities whilst also encouraging their wider democratic participation. In this book, Mudde fights against mainstream fears about populism, far-right parties, the increase of Euroscepticism and intolerance in Europe. The main threats to European democracies are the governing, mainstream parties. Through their populist rhetoric and far-right policies, they create political disaffection among the population, sacrifice democratic values in the name of security and for the proclaimed sake of their citizens, and are the ones who are really threatening the European project. His clear definitions and exposition of facts make this book a reliable and easily approachable analysis of the current European situation. Due to these reasons, I consider this book a relevant contribution to political science and indispensable to those trying to understand our modern times, current events in European politics and extremism. Note: This article was originally published at LSE Review of Books and it gives the views of the author, and not the position of EUROPP – European Politics and Policy, nor of the London School of Economics. Marta López Solé is a Spanish graduate student in ‘History’s Philosophy: Democracy and Global Order’ from the Universidad Autonoma de Madrid and a Research Assistant at ‘On Think Tanks’.